Houseplants are a great addition to any space, from small work cubicles or a simple apartment or condominium to a large, multi-story house, a classroom, corner executive office, ranch home or luxury suite. No matter where they will be placed, however, if you've never had a houseplant before, it's best to start with hardy plants that are great for beginners. 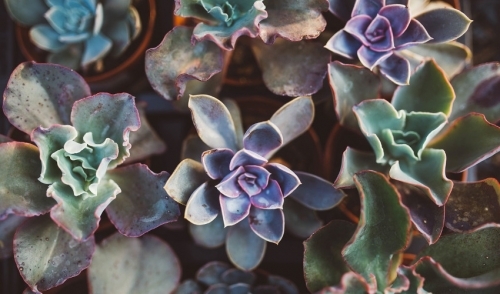 Even just a few houseplants can provide these benefits, so why not get started? Not all houseplants are the same, and their general needs for water and light levels, fertilization, growth space, air circulation and pruning can vary greatly. The best plants for beginners are those that are hardy even when inadvertently mistreated or ignored, and that adapt well to a variety of climate conditions. Beginning houseplants are easy to grow, resistant to most pests and don't generally require specialized care other than good light and somewhat regular watering. Spider Plants: With long, dangling leaves and a habit of creating many sprouting offshoots that can be planted themselves, these are great hanging plants for windows or kitchens. Snake Plants: Also called mother-in-law's tongue, these are some of the hardiest plants available, with spear-like upright foliage in a variety of variegated green shades. Succulents: These plants have fleshy leaves and are very drought resistant, so they need very little watering. Aloe is a popular succulent great for beginning houseplant growers. Cacti: Another great plant that doesn't need watering, cacti come in a wide range of shapes and colors, but the spines can be sharp and the plants should be kept out of reach of young children. Dracaena: These plants have lovely foliage often with shades of green, yellow or red, and are often sold as "angel" or "indestructible" plants because they require very little care. Lucky Bamboo: Technically a type of dracaena, this upright plant can thrive in just a vase of water, and is a favorite for office plants either as single shoots or in groups or clusters. Peace Lily: Lush and vibrant, this lily has glossy green foliage and sprouts graceful white blooms. This plant grows quickly and can become quite large, ideal for filling in a space. Christmas Cactus: A popular succulent with glorious red, pink or orange blooms, these plants can grow quite large and live for years even with less-than-perfect care. Dumb Cane: These plants are botanically known as dieffenbachia and are hardy, upright growers with broad, drop-shaped leaves that often show lovely variegated patterns. Parlor Palm: For a tropical touch, the parlor palm is an easy houseplant to grow and was a staple in many Victorian-era homes. Today, it is making a glorious comeback. No matter which plant you choose, always research a houseplant's basic water, sunlight and temperature needs to be sure it is suitable for your home and lifestyle. Before you know it, your thumb will be green and your home will be filled with hardy houseplants!